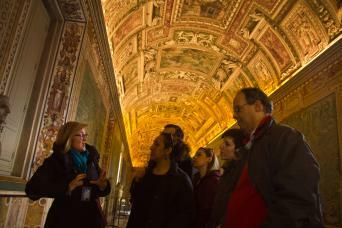 Discover the history and art of Ancient Rome with our Colosseum and Ancient Rome Sharing Tour. 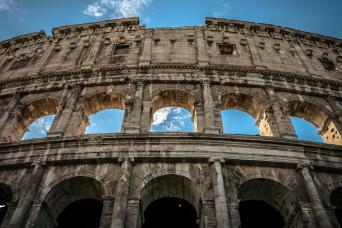 This tour covers the Colosseum, Palatine Hill and Roman Forum. You will run this journey through time within a small, friendly group up to 25 participants and you will also receive headsets to provide high-quality listening. Thanks to our pre-purchased vouchers, you will also skip the long lines at the Colosseum and make the most of your day! The tour includes 3-hour English speaking, licensed guide to bring you around this amazing places... 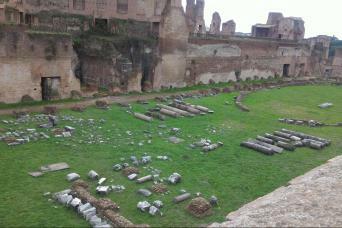 So, book our Colosseum and Ancient Rome Sharing Tour ! 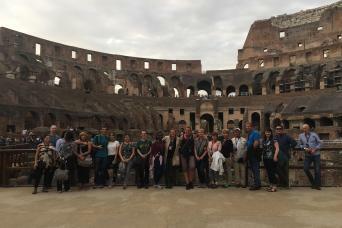 Our Colosseum and Ancient Rome Sharing Tour literally turns back time! If you want to feel like a real emperor, you really should book it... The tour includes a fully licensed English speaking guide to tell you everything about the places to see, so that you will become a real expert of Rome by the end of this amazing tour! You will also join a small group of 25 people maximum to keep the atmosphere friendly and relaxing at the same time! Your 3-hour tour will begin on the impressive Fori Imperiali Street, lined on both sides with ruins from the Roman Forum. Your guide will offer a brief introduction of Ancient Rome, getting every member of the group up to speed with the key aspects of the fascinating history of Ancient Rome. Your small group will then head to the most iconic symbol of Ancient Rome, the Colosseum. Armed with Colosseum skip-the-line tickets, your guide will help you to avoid the long ticket queue maximizing your time here in Rome. As you enter the Colosseum you will be blown away by this spectacularly preserved theatre. It will be like stepping into a time machine. With your guide there to recount amazing anecdotes about the mind-blowing history of this center of Ancient Roman entertainment, you will really feel as though you are there among the gladiators, lions and emperors. Your guide will explain to you all about the Colosseum's grizzly and gruesome past. This is the ultimate Ancient Rome experience... If you come to Rome, you definitely have to book our Colosseum and Ancient Rome Sharing Tour! Just call us or send us an email and we will arrange the best tour for you! From the Colosseum you will proceed to the famous Palatine hill, one of Rome's seven hills. 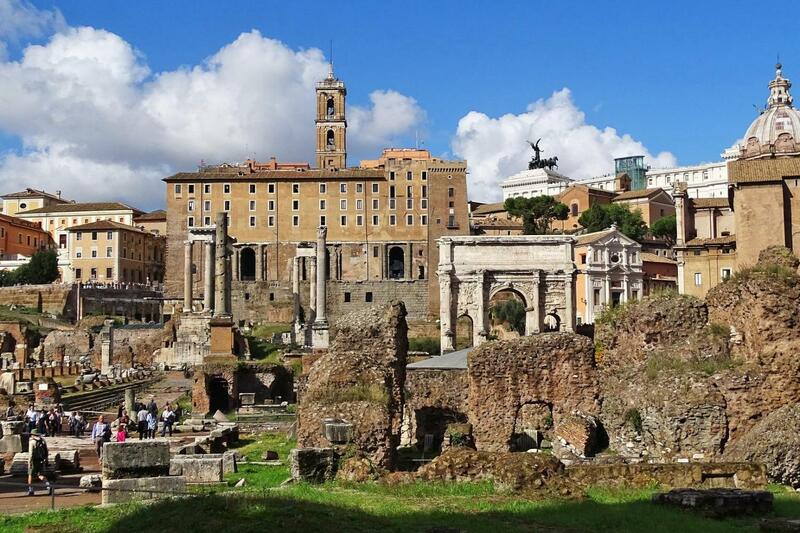 The place where the emperors used to live, you will enjoy a stunning view over the Roman Forum and Circus Maximus. You will then climb down to the fascinating Roman Forum, the meeting point of Ancient Rome. Strolling among these ancient ruins, you will feel like you've been transported to another world. Your guide will use overlay books and 3D pictures to help you to visualize how magnificent these ruins once were. 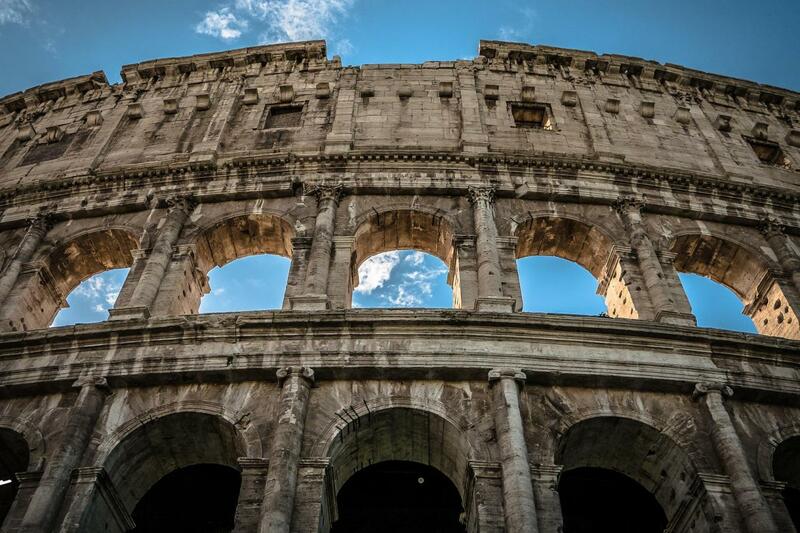 Bring Ancient Rome to life with our best-selling Colosseum and Ancient Rome Sharing Tour!